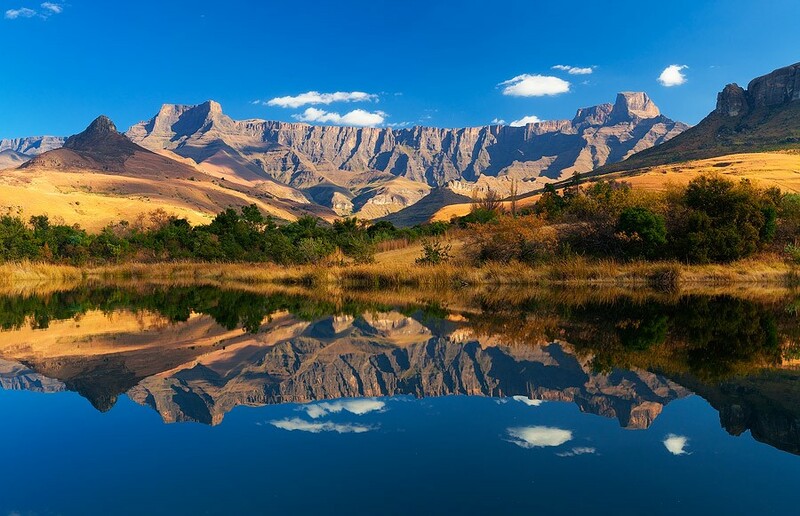 What is an Easy to Intermediate Drakensberg Hike? Our Easy to Intermediate Drakensberg Hikes are typically 2 to 4-day hikes, some of which are family friendly.. The gradient on an Easy to Intermediate Drakensberg Hike is gradual and includes some steep ascents, usually between 2200m and 3000m. Sometimes we are able to follow footpaths, but when we don't the trail is usually relatively easy. Walking is mostly easy and comfortable with a few somewhat more challenging patches. Because the distances we cover on these hikes are relatively low to medium, we can usually set an easy pace which is adjusted to the speed of the group as a whole, but may sometimes need to walk a bit more than with an Easy Hike. Easy to Intermediate Drakensberg Hikes are a fantastic way to feel that you are really getting away from it all for a few days! Our list of Easy to Intermediate Drakensberg Hikes includes the Popular Easy to Intermediate Drakensberg Hikes listed here, and the Scheduled Hikes listed below.